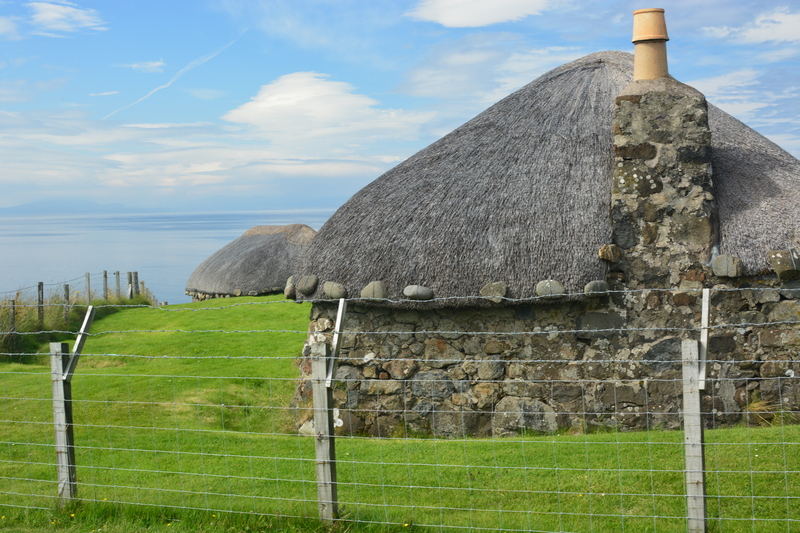 Blackhouses were the traditional folk dwellings in the Islands prior to the 1800s. Some were even lived in up until the 1970s. 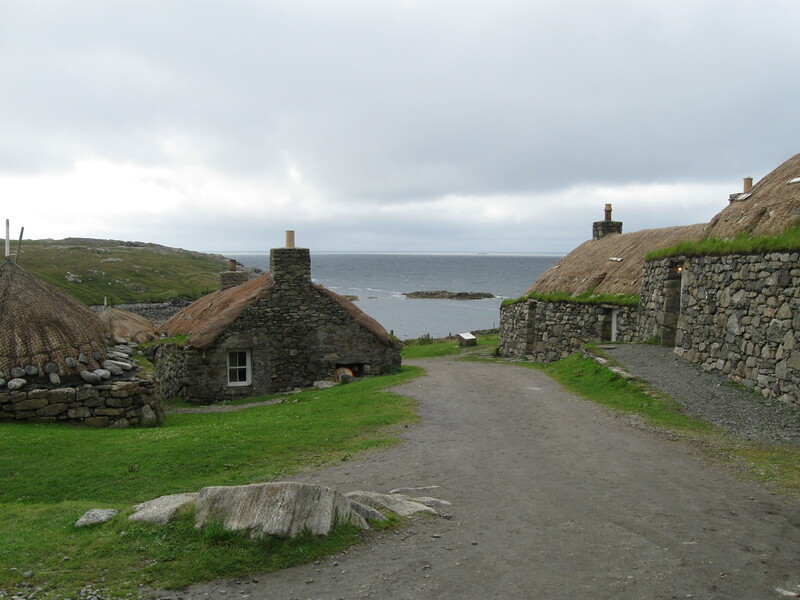 Many of the ruins visible on the islands post-date the destruction of the clan system, but the type of house itself may be about 1000 years old. They were constructed of dry-stone double rock walls and thatched roof, with an interior attached room for the house-cow. The Skye style had thatch that extended over the walls, while the Outer Hebrides style had a thick wall with an exposed top which often grew turf. Traditionally, fishing-type nets weighted by rocks held the thatch on, though more recently chicken-wire was a popular substitute.